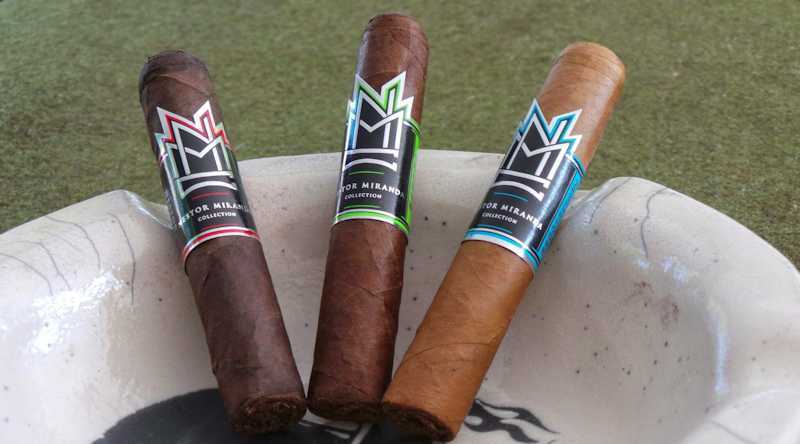 In 2014, Miami Cigar went through a process of rebranding and reblending some of their previous lines as part of the company’s 25th anniversary celebration. As a result of this, the Nestor Miranda Collection was introduced in three blends: the Connecticut, Habano, and Maduro. Each blend is offered in four vitolas: Robusto (4.5″ x 50), Corona Gorda (6″ x 46), Toro (5.5″ x 54), and Gordo (6″ x 60). The Connecticut blend formerly existed in another line, however the Habano and Maduro were new to the lineup. I received some samples of the robustos to review, and have finally gotten to them in the queue. These “mini-reviews” are based from only one example of each, and may be updated after I have spent more time with the line. The tan colored wrapper on the Nestor Miranda Connecticut displays a smooth, oily feel. It has a delicate appearance but in reality seems fairly hearty. The construction appears good throughout with an even pack density. Cold draw and aroma are both quite faint, with just a hint of sweet hay. Draw resistance is nearly perfect for my tastes. At first light, there’s a crisp, tannic note that brings a moderate tropical spice through the nose. While I’m not the biggest fan of Connecticut wrapper, from time to time I do enjoy the sharp flavor it brings. I also tend to really enjoy the room note of this leaf – which bears true with today’s stick. The burn was generally well behaved for this cigar, and I can’t really say that I had to do much in the way of maintenance. Just an occasional brush with the lighter kept it in check. Once I got into the second inch of the Nestor Miranda Connecticut, the profile had settled into a sweeter range. The tropical spice persisted, with a bit of cedar thrown in for good measure. By the time I approached the end of the cigar, it was losing most of its spicy character while the sweetness continued to build. This sweetness finished brilliantly, with a definite butterscotch bent to it. In what is one of the stranger flavor pairs, there was an occasional wisp of cinnamon as well during this final portion. A strong performance, with a tasty finish. The wrapper on the Nestor Miranda Habano is a bit dryer to the touch than the Connecticut, with some micro-tooth throughout. There’s almost no aroma from either foot or wrapper. The cigar is evenly packed with neither soft nor dense spots. Veins are moderate, and seams barely visible. Coloration is medium brown and evenly distributed. Like the Connecticut, the cold draw produces little flavor to speak of. The draw on this example is slightly tight. Initial flavors from the Habano are darker and woodsier than the Connecticut. There is a clear woodsy core, with very little spice – even with a full retrohale. The smoke has a definite toasty character, lending a charred note to the wood flavor. There is very little to no sweetness in the first inch of the cigar. Going into the middle portion, some sweetness does begin to come through, albeit sedate. This sweetness brings a mild association to allspice, but is otherwise general in tone. The burn is very well behaved on the Habano, although the draw was a bit tighter than optimal for my tastes. The final of the three Nestor Miranda Collection blends is the Maduro. It has a mostly even-toned dark brown color and a dry complexion. Veins are sparse but prominent, as one would expect with a broadleaf wrapper. The bunch feels evenly distributed. Prelight aroma is a bit more pronounced than the other blends, but is still mild and haylike. Again, the cold draw is somewhat tighter than I would normally prefer but not terribly so. The Nestor Miranda Maduro, like its Habano brother, fires up with little spice at its outset. The early core flavors are bready with just a touch of a sweet, toasty character. I was a little surprised by this. 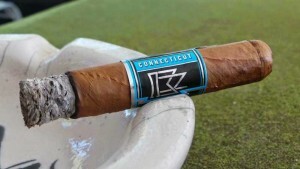 Although I knew the blends were reportedly different in each of the three offerings, I felt like the Connecticut and Habano followed a common palette – or family – of flavors. The maduro seems more unique in this respect, providing a decidedly different experience. By the time I arrive at the second inch of the cigar, the smoke production has become strained. The cigar nearly went out a couple of times, but would revive with a quick puff. Flavors at this point remain similar to the early portion, but take a noticeably more astringent turn nearing the final third. This continued to build through to the end. The draw was tighter than I would usually prefer throughout this cigar, and I believe it may have slightly overheated due to my trying to overcome its tendency to resist staying alight. I went into the Nestor Miranda Collection with expectation that the series would be very similar in style and performance. This did not necessarily come to be. Each of the three offerings in the line has its own story to tell, and each has something to offer. I had a clear preference for the Habano wrapped edition, although I would not hesitate to smoke either the Maduro or Connecticut again. Despite a couple of issues with construction, I will explore the lines further and report back here. 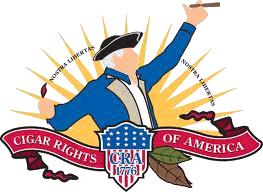 I have come to greatly appreciate Miami Cigar/Nestor Miranda cigars in recent years, and have a great fondness for the company’s ability to push new, entertaining blends to market. I’m looking forward to more new blends…but am happy to enjoy those available today in the meantime. Fans of any blending genre will do well to explore the portfolio.